Globalisation means that multilingual audiences are now increasingly common. Multilingual audiences provide a unique challenge for speakers and presenters. How can you be clearly understood, without dumbing down your topic or patronising your audience? In addition, if English is not your first language, you may feel at a disadvantage when using it to communicate to multilingual audiences. However, you do not need to speak English brilliantly to be an effective communicator. In fact, people who speak English as a second or third language are more effective at communicating to multilingual audiences, according to a BBC article. At Benjamin Ball Associates, we have helped thousands of senior executives from Europe, Asia and the Middle East to present more effectively. From our experience, there are five simple rules you can follow to ensure your message is received and understood. 1. Keep your language simple. According to the Global Language Monitor there are over one million words in the English language. A new word is created every 98 minutes. This huge choice of available words increases the risk of miscommunication. Effective presenters stick to plain and simple language – words most likely to be in everyone’s vocabulary – when speaking to those who don’t speak English as their first language. For example, a native French or Arabic speaker is less likely to understand the meaning of “plethora,” so “plenty” or “a lot” would be better choices. Avoid jargon, acronyms and cultural idioms, as your audience are less likely to understand them. Varying your vocabulary throughout your presentation may also confuse a multilingual audience. For example, avoid talking about ‘benefits’ and then later referring to ‘advantages’. “Sometimes you need to pause to let everything sink in,” according to German racing driver Sebastian Vettel. Even a four-time Formula 1 world champion needs to slow down occasionally. Presenting in English to multilingual audiences is no different. Pausing regularly gives you extra time to prepare your next sentence, and allows the audience time to absorb what you just said. Effective speakers strive to put the same care and attention into their pauses as they do their overall message. Between different speakers, topics or sections. Before a punchline or key message (this also adds tension and emphasis). After a punchline or key message, to let it sink in. Combined with a dramatic action, for example uncovering a new product or pointing to something important. Alongside body language signals, to emphasise the pause. Have you ever walked away from an important meeting or presentation unsure about the meeting’s topic, its purpose, or your actions? Regularly summarising throughout your presentation will prevent your audience from leaving with these frustrating – and potentially damaging – outcomes. Checking your audience’s understanding of what you’ve said. Bringing topics or sections to a close. Re-stating any future actions for your audience. Refreshing your audience’s memory of what you’ve said. You could also try splitting the presentations into clearly defined topics, or holding regular question and answer sessions. Both tactics help to consolidate everyone’s understanding. Keeping your presentation structure simple will also make your content much more easily digested. 4. Bring your subject to life with colourful stories, examples and anecdotes. An executive was delivering speech in a foreign country through an interpreter. Without warning the interpreter beforehand, he inserted a joke into the presentation. The audience did indeed roar with laughter, but not for the reason the speaker supposed. Unaware of what really invoked such a positive reaction, the executive was so pleased with the first result that he proceeded to tell another joke. Telling stories, like the one above, works across language and cultures and brings your subject to life. In this case, the story demonstrated how each culture has a difference perception of what constitutes humour – and why a joke might not be an ideal ice-breaker for a multilingual audience. The power of storytelling is timeless, transcending industries and technology. So, is there a short anecdote relevant to your topic that you could open your presentation with? If you can, use a local or topical angle for your anecdote. The audience will then know that you have tailored your talk for them. “Sadly, in the next 18 minutes when I do our chat, four Americans that are alive will be dead from the food that they eat.” Jamie Oliver uses the very first line of his TED speech on food ignorance to shock his audience and immediately hook their attention. Tell a short story that is relevant to your topic or angle. Ask a question that makes your audience think or respond. Describe a scenario that sets the scene and encourages the audience to imagine what they would do in that circumstance. Do something unexpected or shocking, that makes the audience reconsider their preconceived ideas already. If you need to cover some low impact but essential content – or if you won’t be introduced by anyone – it’s still important to begin with a high impact start. You can then loop back to the housekeeping, introductions or pleasantries once you have successfully engaged your audience. We all verbalise and construct sentences in completely different ways. Our thinking patterns and perceptions vary. The potential for miscommunication is huge. 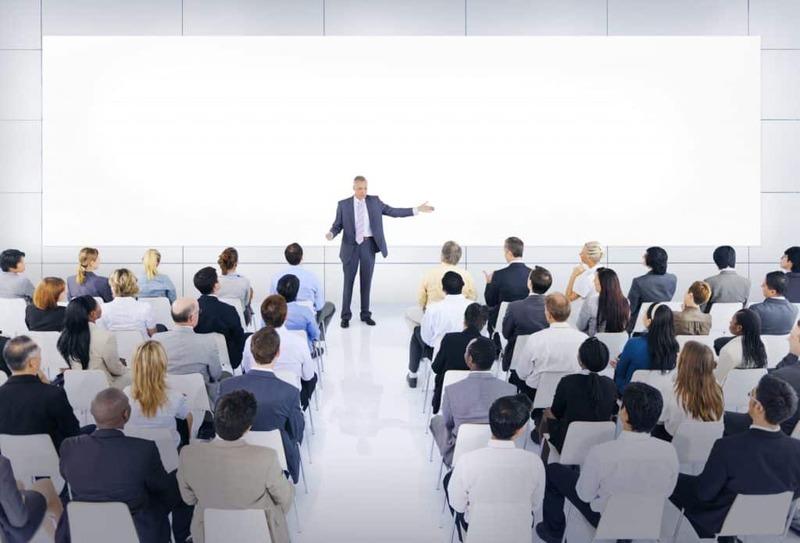 But, if you apply these five essentials for delivering presentations to multilingual audiences, you will connect with every member of your audience – without your message getting lost in translation. Benjamin Ball Associates helps clients to communicate with their audiences effectively. Over the years the BBA team has coached thousands of senior executives from Europe, Asia and the Middle East to better present themselves in English. We have developed a robust toolbox of techniques that we use to help our clients become clear, confident communicators. We’ll help you create a powerful first impression that hooks and engages your audience immediately and we’ll coach you to deliver clearly, confidently and with impact. Speak to Louise on 020 7193 0130 or email louise@nullbenjaminball.com to find out more and discuss your upcoming speech or presentation.